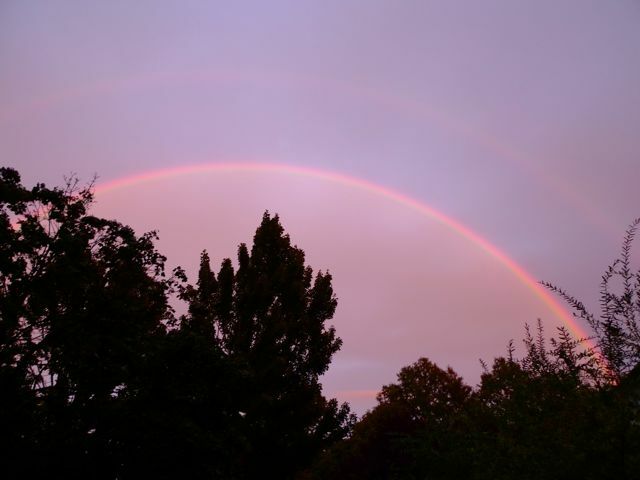 We were treated to a magical sight on Friday night, a double rainbow sunset! 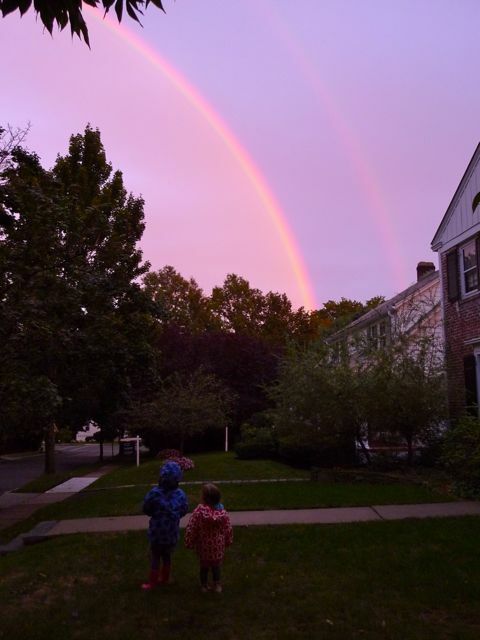 It has been a long while since I saw a full double rainbow, and this one made up for the wait. 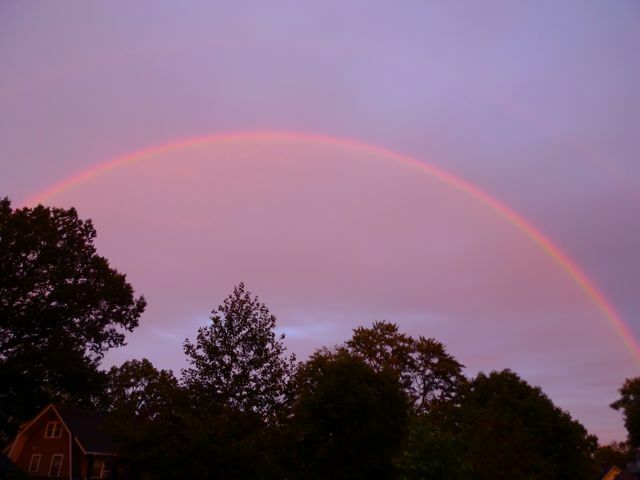 I always feel moved when I see a rainbow, truly one of natures wonders – you know rainbows are happening every day on the earth – somewhere, but you just have to be in the right spot at the right time to see one. I was making my rounds of the house, pulling the evening blinds. 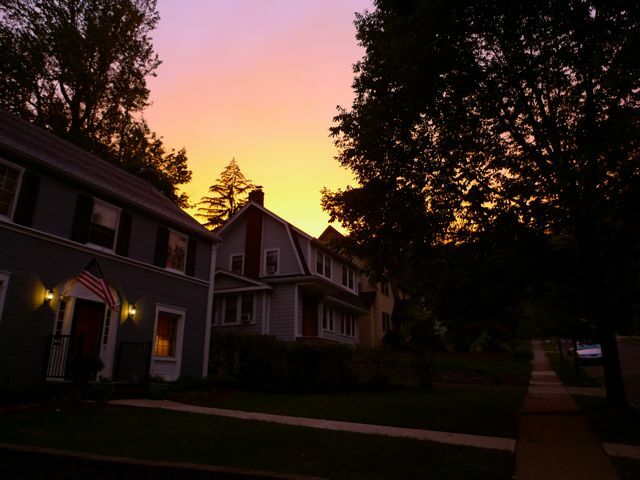 When I looked out of Maya and Elle’s bedroom window, and there was the beam arching magnificently in a dusk hued sky. In a whirl I ran down the stairs, through open the front door and dashed out. I was literally jumping for joy! 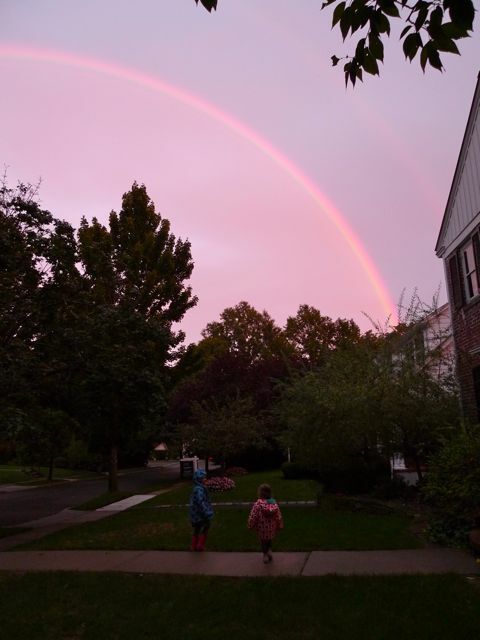 Maya and Elle came to the door calling out to me “Mummy, what are you doing?” and I yelled back frantic with excitement “Get your coats and shoes on, it is a double rainbow!” The thing is with rainbows, they disappear as magically as they appear, in the blink of an eye they are gone. 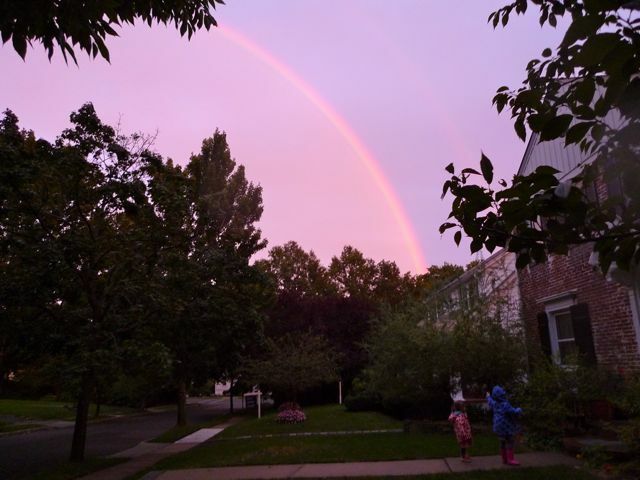 Thankfully the rainbow held for admiration. 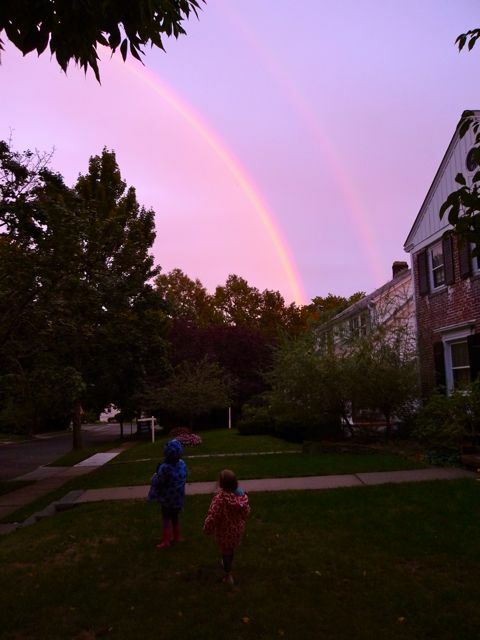 We had run to Nina’s door to tell her there was a beautiful rainbow in the sky and so together we stood gazing up with appreciation. Feeling the colour spectrum effects – rainbows are so very therapeutic. I then ran up the street to take a photo, knocking on other neighbour’s doors along the way – I did not want anyone to miss out! 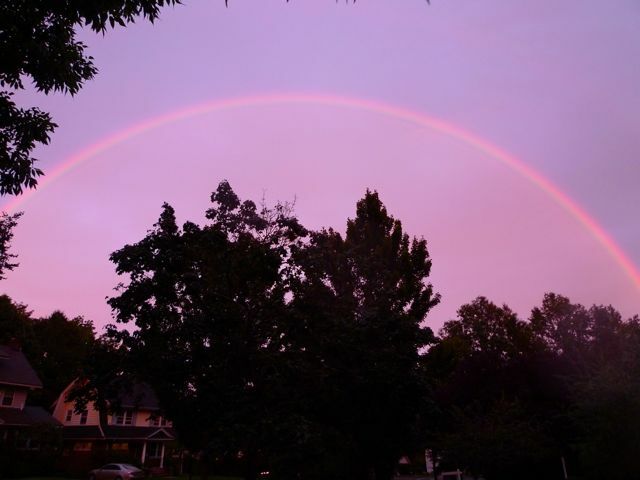 I don’t recall ever seeing a rainbow at sunset before. 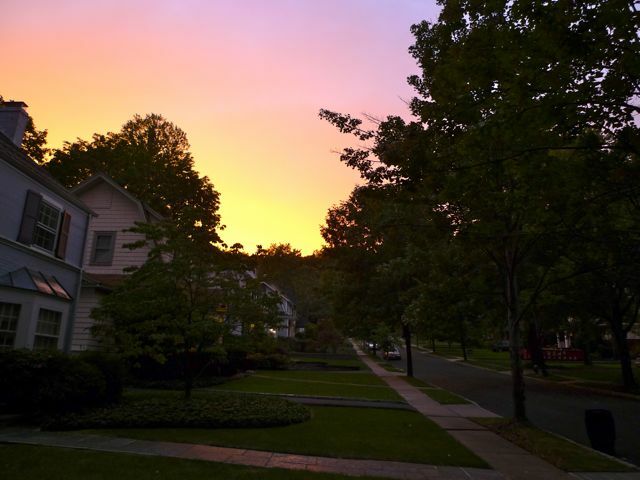 It felt so special, the combination of the rainbow against the saturated evening sky. Giving much thanks for natures blessing. This entry was posted in G E N E R A L and tagged rainbow.